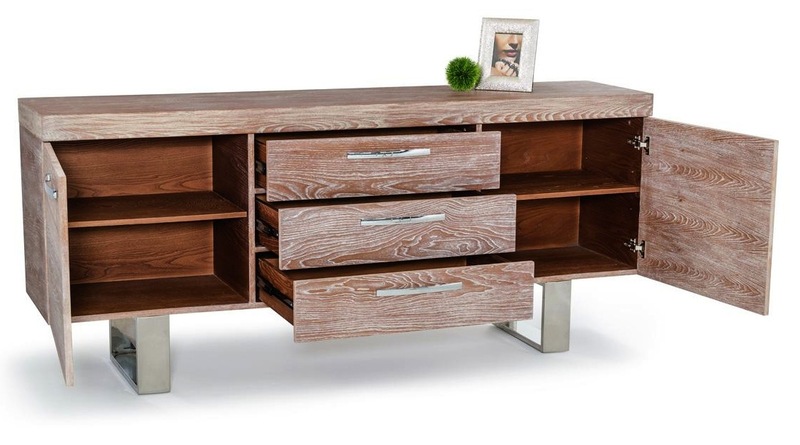 Herald Buffet would make a beautiful addition to your home. 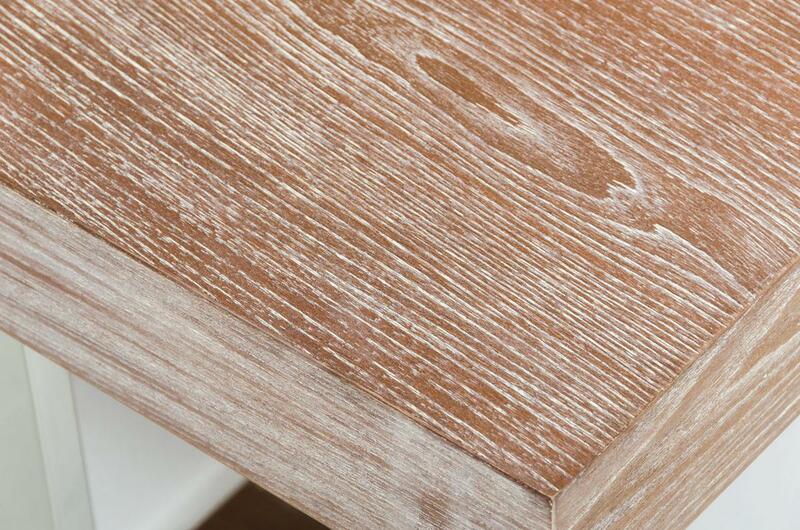 This unique finish was created by brush washing a light grey over the natural elm finish. 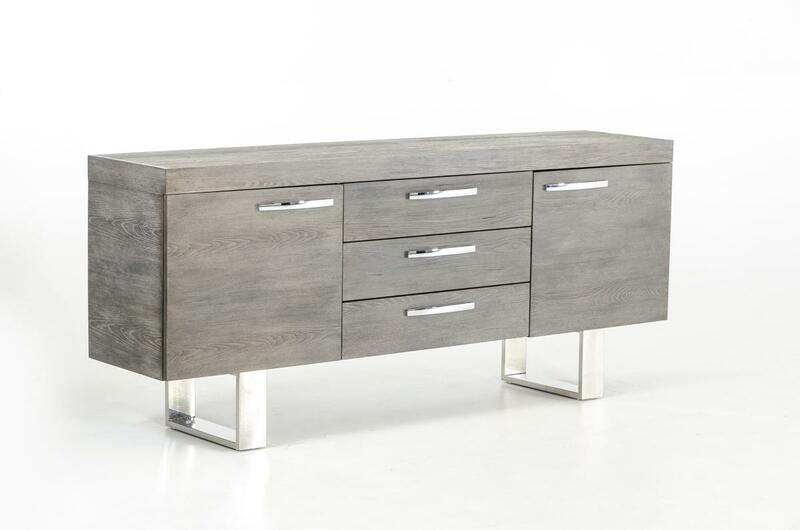 Stainless steel handles and legs add a contemporary touch to the natural look of this design. 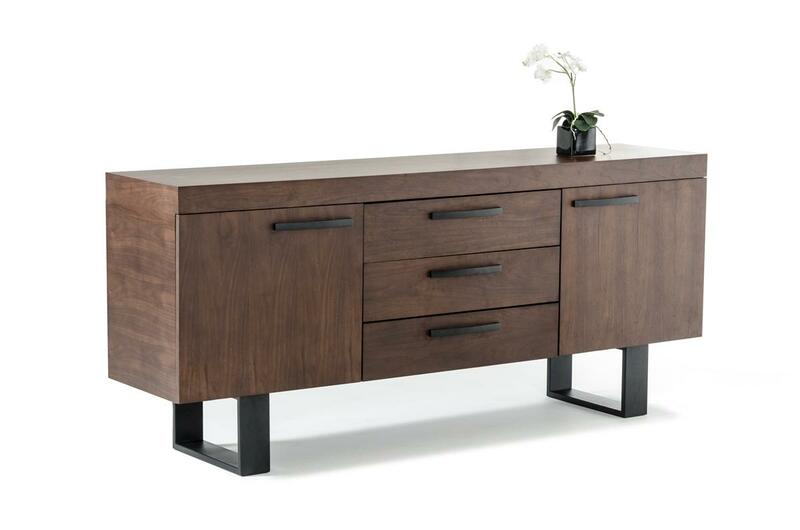 The spacious top surface is excellent for a buffet of food for your dinner guests while the drawers inside create functional storage space. 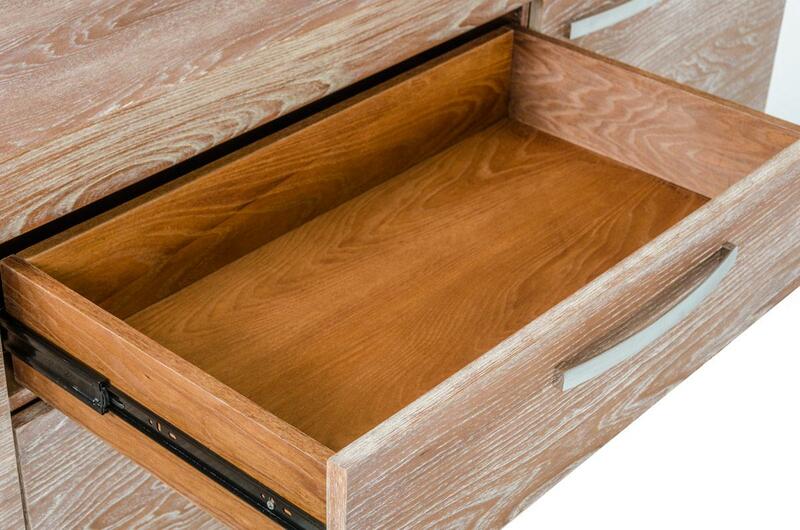 Features include two doors with inside shelving and three drawers for additional storage.